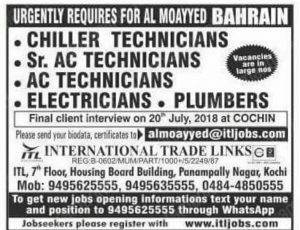 Gulf job interview in Trivandrum 2019.DEAR GULF JOB SEEKERS THE LATEST UPDATED GULF INTERVIEWS IN KERALA 2019 IS POSTED. 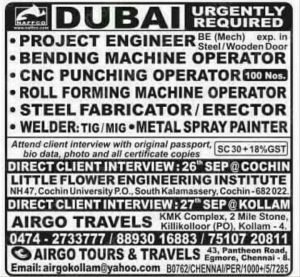 THE BELOW GIVEN IMAGE HAVE COMPLETE INFORMATION about gulf jobs in kerala. 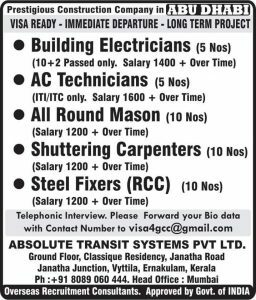 CHECK THE INTERVIEW DETAILS AND APPLY FOR YOUR RELEVANT JOB.GULF JOB INTERVIEWS AT TRIVANDRUM KERALA.CLIENT INTERVIEW ON 2019.HUGE JOB VACANCIES APPLY SOON.jobs in trivandrum. 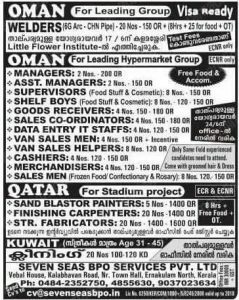 Here latest Kerala gulf job interview details are posting regularly. 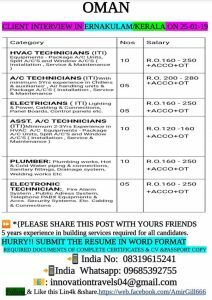 Interested candidates follow our page and get the latest information. 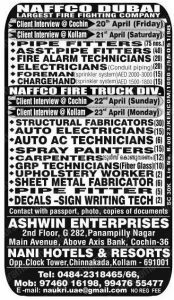 Office boy office assistant jobs.. 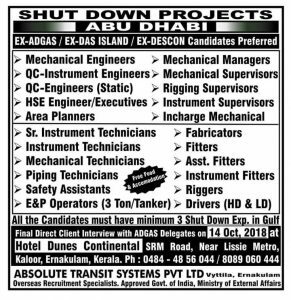 I am an IICL container inspector liscence holder 2017-2021.plc inform me if any container inspector/surveyor jobs available. I have saudi driving license. 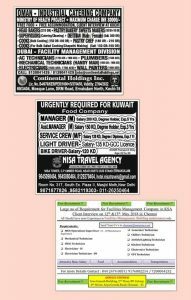 please refer my CV an if you need further clarifications, please feel free contact me. I am satis i am chiller technican i have good experience inthis filed pls if you have any interviews pls msg to me.